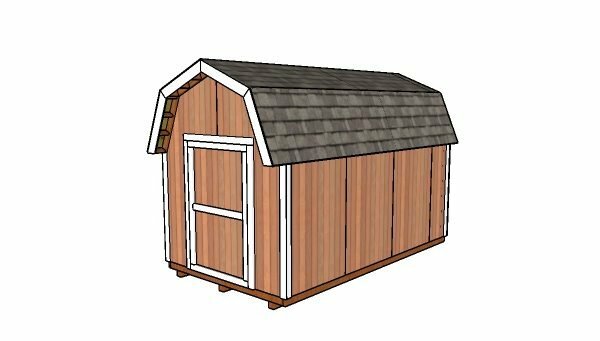 This step by step diy woodworking project is about 8×14 gambrel shed plans. I have designed this small barn shed so you can store your garden tools and other items with style. This shed is sturdy and it features a 4′ wide door for easy access. Remember that you need to read the local building codes before starting the construction, so you comply with the legal requirements. See my other shed plans HERE. Thank you for reading our project about 8×14 barn shed plans and I recommend you to check out the rest of the projects. Don’t forget to LIKE and SHARE our projects with your friends, by using the social media widgets. SUBSCRIBE to be the first that gets our latest projects.